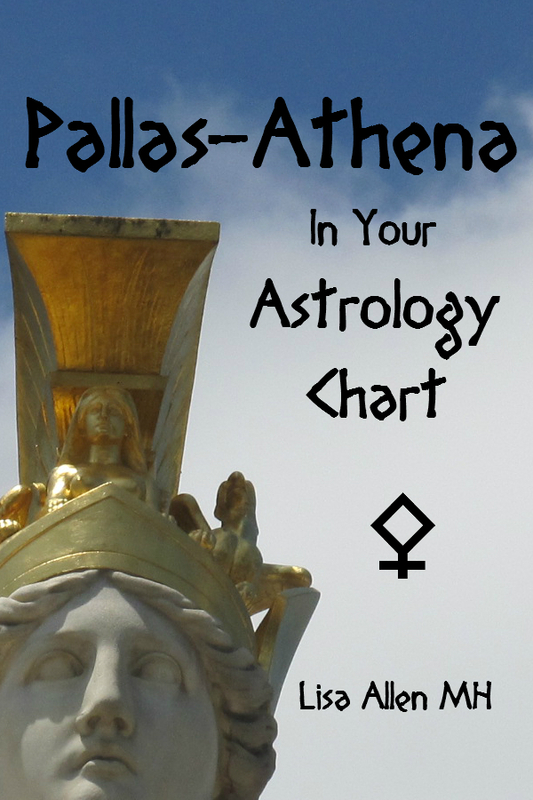 Quick note: THANKS for all the Venus Retrograde/Direct Comments – Learning SO much! But I digress…. While I cannot reproduce the article here due to copyright issues, I can provide a brief summary. First, I talk about my deep personal journey of my realization that there is a clear connection between spiritual belief that reflects nature and balance, and of health and healing philosophy and practices. I then explore some of this unhealthy structure, as well as the benefit to those who would create such a structure (and how they got away with it long before many of us were even born). I explain the aftermath of this, which is that even the leaders of our nature-based spiritual groups out of this conditioning will choose by habit to go outside of their belief system, due to fear. The laws for the last 150 years in the USA prohibit very important aspects of true healing practices (i.e. the only health care provider allowed to diagnose and to treat disease must be trained and have graduated from the establishment, i.e. an “M.D.” or similar titles from orthodox institutions). While we can try to change the law, attempts have been unsuccessful due to the “backup systems” of the establishment being in place to ensure their continuity and survival in the current paradigm. Please understand that I am NOT against the existence of orthodox medicine. I completely believe that their services are invaluable toward emergency care and trauma, as well as providing temporary relief toward conditions until deeper care can be provided for chronic conditions. I know that in severe cases, antibiotics can save a life. However, the system is not set up for recovery AFTER these services are rendered. This system of medicine is disease management rather than cure, and is non-natural chemical suppression of disease on nearly all counts. While this may work for the short term, it is not a sustainable method of creating wellness. The failure of this system is not for acute conditions – the failure is for chronic conditions. The fact we are told by doctors as well as textbooks in school, mainstream media, and other sources that we have no other options can make us feel powerless, especially when you consider the fact that laws are in place that support them while thwarting any other way. While it is important to find out how we would arrive at a certain place, I also felt it is just as important (perhaps moreso) to implement solutions to this issue. So, how can we empower ourselves and pursue the type of health care that matches our belief system, is affordable and accessible, and still work within the confines of the current law of the land? The solution I mention in the article is based on (for the moment) our right to free speech. That means we pursue knowledge through a process of learning – and that means those who know are also teaching. This may seem an expensive proposition, and time consuming. However, over time, most programs will pay for themselves well within the first year, and each year following can create amazing value to our families, and eventually to our community. If you are a member of an established spiritual group, this is even better. Since healing is often important to many, perhaps exploring healing arts that will complement what others will learn can create a wonderful support system that can create a space where going the orthodox route is a last resort, rather than the first (and only). Some of us love growing or wildcrafting edible and medicinal herbs, others are drawn to study massage, others may be drawn to study Yoga, Reiki and Ayurveda, or perhaps Traditional Chinese Medicine, which includes acupuncture with herbs. Still, some may explore shamanic healing, massage, tribal dance, and even naturopathic or chiropractic medicine. 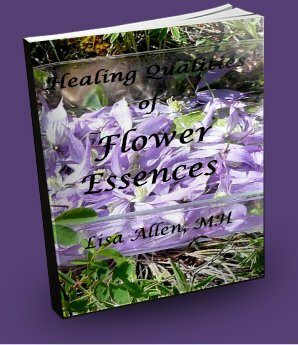 Some healing tools could have a psychological component (like Astrology), or an emotional healing component (like Flower Essences). Healing arts to learn can range from Emotional Freedom Technique (EFT) and Body Talk, to Cranio-Sacral Therapy (CST). And let’s not forget those who are attracted to cooking excellent and healthy organic foods and can help us create good systems of implementing these benefits into our daily lives affordably. There is so much territory to explore here! The idea is to pursue what you are attracted toward, then pair up with others that can trade with you in a way that is fair to all – and with this, we can make a firm foundation for healing that is accessible to all with similar belief systems. Yes, we can use our healing talents as “currency” toward other things we need. Time-for-time is usually a fair and beneficial arrangement, and if materials are involved, additional means can be discussed to bring balance to the healing transaction (for example, to add more time, or to pay cost or trade other material of similar value). This also means that the responsibility of healing is clearly on the recipient and that the provider of services is merely a “hose” or facilitator. We all need different services from different people so it is difficult to evaluate healers by “credentials” alone – get testimonials, especially from those close to you that you trust, and go with your gut feeling. The process may be long, especially if things have been suppressed for some time – but you will know deep inside if things are moving and processing, or whether you need to seek a different healing experience. We also need to WANT to heal of course (an entirely different topic)! What other ideas do those in the nature-based spiritual community have for accessing and achieving health and vitality affordably? How can these ideas be realistically implemented? What are potential problems to things I have suggested, and what can be done instead? Please comment below (and sign up for free updates too)! And, I wish to thank all of you in advance for your insight and participation! We use the barter system with a wonderful friend who is a healer,with much different talents then those we have..He knows he is open to coming into our gardens for anything he may need. .What we have found using alternative healing is that it is a personal choice,, Which we have had taken the time to study to empower ourselves.Reading some of your writings I may of missed it,, but we also believe that one must start locally and connect one person at a time.. I love your comment Mary! Oh, the conditioning – I didn’t even bring up the white lab coat and titles i.e. alphabet soup issue! This is not to ridicule true education, but instead a jab at those who feel more intelligent and therefore “above” others due to this alone – an obvious ego issue. Indeed, I understand that prior to a joining of forces with the medical and legal community, it used to be that we would pay a healer, doctor or physician upon getting WELL! I understand that it still works this way in China too. Imagine if there was a way to reinstate THAT paradigm! Yes, it can be a “trick” finding the right balance with a trade, thus why I had suggested time-for-time and proper compensation if any materials are needed in a way that both parties benefit. I haven’t had too many problems with my trades, but the people I work with have really open hearts, as I do (like attracts like), and the funny part is each of us feel the trade might have been unfair due to receiving more than we anticipated! I also like your advice of working as local as possible, building relationships slowly over time. It is true that not everyone is trustworthy but I prefer to see it is that they may not be my match. For someone else, it may be wonderful, you know? THANKS for being my first comment on this thread – I will love to see what others say! Love following your articles and writings. As usual there are so many wonderful things I can say about all that I learn from you. Be Blessed! Woot Karen, thanks for stopping by the blog today! 🙂 Love you SOOOO much!! This is an article from a few years ago, and in it I see parallels and strangely, balance between your ideas and this doctor’s opinion. I’m not saying that the ailments that “annoy” this particular doctor are the types of illnesses that holistic healing is aimed at, so for the purpose of using it as an example, I’m just going to assume he means simple/home remedy type cures. If you look at it in that way, then a more holistic approach to healing amongst the community definitely makes sense and it seems it would really help doctors. I agree that little compares to ER/traditional care for trauma injuries, their skill AND time is necessary and appreciated. But the entire spectrum of healthcare is needed to take care of such a wide spectrum of people. Luckily, I, like you have also traded time-for-time with other healers and we also were amused at how much MORE we felt like we received. I think it is just a matter of getting out there, making yourself available, and really trying to help people. For every person that thinks you’re crazy, there will be a handful that are open and really appreciate the work. I too believe that the people who need to find you/you need to find, will enter your life. Even a bad “match” can be a valuable learning experience. I’m not sure of any practical solutions, besides providing facilities for things like this to occur. Usually work like this is done in the healers home or the person needing healing’s home. Maybe it is best that way, for some, but it might not work for all. Trading and bartering could be better managed if there are many different types of healing being offered under one roof. I created an artist community in a warehouse, because I wanted to be in a creative environment. I could easily see the same type of thing beginning for healers. I am about to start offering my services here, and I hope we will have some interesting outcomes from exposing people to different types of healing. More and more, even without any exposure, people are seeking it. Yes, these people that are reported in this article are clearly not in a self-reliant paradigm if they think going to the emergency for a bee sting when applying Plantain tincture will handle the issue. I am talking about people who wish to make a choice to use mainstream medicine as a LAST resort! Ah, indeed location would be great – sort of like a collective or a cooperative space, perhaps with volunteers that can oversee the greater picture (and they, too would get services for their time). Very good idea! I know the space would cost something, unless someone just happens to have a lot of surplus space, but it seems worthy to work toward this goal! Thanks tons for sharing this great idea today, MaryMecca! Pingback: Who Heals the Healers? It’s a good question and one I have struggled with as well. I am a bodyworker (massage therapist) who specializes in musculoskeletal pain conditions. This is my full-time profession. There is a limit to how many sessions I can provide a day, both in the energy cost to myself and the physical wear and tear of the kind of work that I do. I can’t pay my own bills for less than what I charge people. It costs me money to have a space to provide my services, not to mention the supplies and laundry. And yet, I know that the fee is daunting with the low pay that so many people get in this society. If I could figure out some way to be able to work on six people at once in a less private environment, I could lower the price (a la Working Class Acupuncture model). As for getting healing for myself, I have done it both ways – traded with other therapists, and have simply paid their session cost For the most part, given that I have a very full schedule, simply paying has worked better for me. I have not been able to make trading work, except on an ad-hoc quickie format (e.g. 10 minutes) with another therapist at the facility where I have my practice. It’s the scheduling that always ends up falling apart in my experience. Joan, I am fully aware of other deep bodyworkers and massage therapists picking up another therapy like acupuncture so they can indeed work on multiple people at once and just to do as many massages as people may really need – with the adjunct of acupuncture in this fashion, they were able to help more people, charge less, work less (but more effectively) and even made more. But you are right that even having a proper facility is paramount. Many spiritual folks don’t even have this structure for their spiritual meetings either – whereby they use each others’ homes (which can be stressful) or public places ranging from the back room at stores to restaurants – I liked the idea on here for many practices to be under one roof. It revolutionized shopping (think of a mall or shopping center versus a standalone store – that hardly exists). With all the vacant business space nowadays, perhaps some type of co-op could happen since the rent could be low enough. Then folks could then have a facility to trade with themselves, charge others interested that are not healers, and pay the costs of the space while making a living and keeping energies of work and home life separate. Or, maybe a membership like the natural foods co-ops or even something like how Costco does it might be something worthy of a look. If people paid these instead of insurance that they wouldn’t use, this could work (and then if emergency happens, have utterly minimal coverage for those instances since the idea is to stay away from orthodox care if at all possible). Maybe employers can offer other benefits instead of insurance, like paid transportation and classes at lunchtime like herbal first aid, energy healing, or whatever fits the paradigm of that work environment. Maybe other people have even more ideas? I am an RN and happy to report that my recent schooling included lectures on what mainstream healthcare has dubbed “complementary and alternative therapies.” We had an acupuncturist and natural healer give a great presentation. Most healthcare facilities are more than happy to accommodate any spiritual or other natural healing practices and I encourage anyone facing health issues requiring the care of a physician to make your wishes known to your care team. Their beliefs may differ and not everyone will be accepting an open minded (though most of us are accustomed to cynical reactions to our beliefs from some.) But they want to help you, or they wouldn’t show up to do the stressful job they do every day. In my experience, most healthcare providers are supportive of and often curious about natural healing. And if your doctor doesn’t recognize the mind-body-spirit connection, it’s probably time tto search for a new doc anyway. 🙂 The system is flawed, no doubt about it. Money is the motivator behind our privately owned hospitals. But we as patients are the only ones who can demand better. It is up to us to tell “the system” what we want and need, and to not stop advocating for ourselves and our loved ones until our voices are heard. Blessings! As a research assistant for Tracheostomy patients and as an ayurvedic aromatherapist, I see first hand, the pros/cons of Orthodox medicine (immediate), Holistic methods (root cause). Society “teaches” one to take the easy road to healing vs making the harder decision to truly change ones life style habits (food, environment, mental thoughts etc). Why deal with the root issue when one can cover it with outside stimulation. It is very encouraging to find more doctors jumping on board of treating the person as a whole such as the Raby Institute in Chicago. I have found an organisation that brings together many like-minded people of the healing arts. I hope many can find the changes as encouraging as I do after long years of feeling alone – http://www.holisticchamberofcommerce.com/ – The founder is Camille Leon. Indeed, thank you Christine for an observation that I also have observed in the expectation of mainstream medicine today! It is true that patients are seeking the suppression of symptoms only so that they can continue to do whatever they want, which is contributing more (or even causing) the problem they wish would go away! Reeducation of patients and of society is a must if healing and cure is to happen. However, I do believe that the same people that wish for symptom suppression do not know that often times, cure IS possible. Mainstream medicine has brainwashed them into believing that their chemical systems of suppression (via big pharma) is the only answer and that does not include cure. The way that I, personally, am slowly overcoming the issue of the established medical system is surprisingly through my work at a gas station and online. I’m receiving my Reiki attunement in two days, (which just allows me to add another type of healing to my regime) and have been studying herbalism for about several years both online and from a studied apothecary. At work and on, yes – Facebook, I regularly talk to my customers/friends whenever they have a medical issue, and I try to provide them with either the herbs/aide myself or, I SEND THEM TO THEIR OWN DOCTOR!!!!! I’m figuring that the more people I send to their doctor that are searching for alternative types of treatment, the more their doctor will eventually HAVE to confront the possibility of another way to health. I also frequently post on my Facebook about my herbal studies and my progress with learning new healing techniques. Now then, for healing myself, I know that I can always travel to my apothecary who has fairly reasonably priced herbs, but not so reasonably priced homeopathic treatments, mainly due to the fact that they just cost so much to produce, much like modern medicine, but without all the excess chemicals. They work so well, but it just costs so so much. I truly wish that somehow my insurance would help me cover these costs. And on the price note, I’ve been helping my friends with my herbal studies for many many years at little to no cost to them because I don’t feel right charging, however, as of late, this is no longer an option, and I do have to ask for donations because I just can’t seem to manage the high demand anymore. Any ideas as to how to make this more affordable [I’ve started growing my own, basic at best, medicine garden already] while reaching the highest number of people? And after reading the comments here, I think it’s great to see how many different types of healers are already coming to this page! Massage therapists, herbalists, energy healers. How absolutely wonderful this will be when the discussions really get going! Thank you Lisa! Just as a side note…….. I should mention that it is all self study at the moment, besides the Reiki which I will have a certification for, but the herbalism is all self study, and is the other reason why I refer many to their health care provider before taking up my advice. Does anyone think that even with a lack of “Formal” training, that the healing that goes on should be thought of as legitimate aide and treatment, or should you have to have a formal training. I’m not a terrible fan of the latter idea, but it does add legitimacy to the aide. Well, isn’t THAT the question of the day hehe! Thanks for both comments Sam, you are obviously working toward the same goal as I am! I believe that your time and your knowledge is valuable, and from the beginning you ought to have been compensated in a balanced way for the help you provide. But it doesn’t have to be money! It can be other services or products you need. I have found that when bartering service (i.e. time/expertise) that time-for-time works well, and if product comes into the question, work out something for that. In other words, when I am trading astrology services for massage services, the time-for-time works well – but if materials are involved, we work something out. For instance, the massage therapist would need to use their own oils which come at a cost. So I either (a) give more time to compensate for that, or (b) provide another product of my own as a trade (and since I am an herbalist, I do make tinctures from herbs in my yard, and also have created flower essences). I would say that you need to also create a system of trade in a similar way. As for the requirement of licensing, I too see the problem of attempting to fit your specific healing practice into a box that may not be the proper fit. Every time they license something, true healing ends up suffering – but how do we choose a healer when we do not have a base line of criteria, right? I say each industry could make its own standards as a guideline, and others can therefore build onto that model (or if it makes sense, to change it for their practice, and be clear about why) – AND?? That is where testimonials will come in handy. I think all of us need to have folks that not only provide a written testimony to help establish our credibility, but even people whom you could talk to and share experience. This would come from a community that everyone is already exchanging information already (or the way I see it anyway). If you wish to look at two utterly amazing herbalists that have no “formal” training per se, look into Kiva Rose and Jim McDonald. They are both utterly phenomenal and I have found that both of them have studied material that even other herbal schools do not have people study! If you wish, you can assemble where and how you got your training, including books you read, videos you watched, the authors and teachers you did learn from, and years of actual experience. Thank you! I’m perusing absolutely every link on your site now! I LOVE the idea of keeping track of my learning sources! I’ll be starting a personal book available to any and all of my clients full of all the places I draw my knowledge from! This is what I’ve been looking for, great ideas, a great support system of healers, and a great space to meet and talk! Hopefully this article gets more and more commenter-s and grows as well as our medicine gardens. Awesome Sam, it sounds like you are on your way – cool! 🙂 I am also getting some comments on LinkedIn but they bring up different issues than the article for the most part. I want to mention that herbalists in the USA may not diagnose or treat disease. However, you can be a teacher and you can also share historical herbal knowledge for conditions in general. So when someone says, “What do I do to cure my disease?” you can immediately let them know you cannot legally do this, but historically, these herbs have had a record of successful use for certain body systems, which could be inclusive of correcting that disease, and let them decide. It gets dicey when you sell your own herbs though (you can see why) but you can frame this differently too – disclose fully the plant(s) you picked and how, with what you are using for tincture (vodka usually) and tell them exactly how to do it for themselves, even showing them pictures of the plants in a plant book or online along with information on medicinal value – this allows them the opportunity to make it themselves, and if they wish to get it from you anyway, it is not coerced. I encourage my clients that wish for herbal knowledge to wild-harvest their own herbs if at all possible before purchasing – and then purchasing in reliable sources if they must (not just you). Bioregional Herbalism is a great way to go here, and also tell folks that your herbs are NOT the only method the plant kingdom provides for healing! You may also wish to note that you are sharing your excess of your personal stuff and not selling them to retailers and therefore not needing to label with FDA requirements, and you just wish to recover your costs for such herbs in whatever way you want to do that. I could go on and on but for now will stop hehe!